Job Details - Packaging Council of New Zealand Inc.
Do you need a packaging professional to help out on a short term project? Are you in need of some specific industry expertise to develop some new packaging? Looking for someone to manage a processing engineering project? Need a dedicated resource to fast-track a packaging project? Do you have a capacity and/or capability gap? We have a selection of contractors with many years of packaging experience waiting to help. Assistance with packaging development for new products or go back to ‘Square One’ and renovate existing packs. Fast-track products to market by getting the packaging right first time. Can work with designers (graphics / structural) to get the look right; and suppliers to select functional, cost-effective materials. Once developed, can then help with the qualification of new packs through production trials & set up any required documentation for Quality/Production if need be. Passionate about innovation and sustainable development (via material selection, design & process). Full project coordination or advice when needed; for a fixed term or by hourly rate. Contact Nikki: nikki@sq1.nz for more information when you next need some project help. Packaging! We need it, we love it, we are sometimes enraged by it! 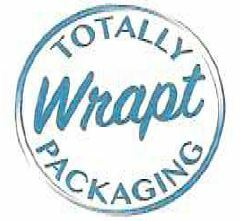 In the last 18 months Totally Wrapt Packaging has been helping companies meet their packaging, processing and/or documentation projects, large and small. After a professional lifetime of working on a diverse range of manufacturing product formats and logistical challenges for some of New Zealand's largest FMCG companies, Sarah Yanez has a wealth of practical experience and packaging knowledge. Totally Wrapt Packaging is also connected with businesses offering complimentary skills in branding, design and photography enabling full service delivery for your packaging projects. 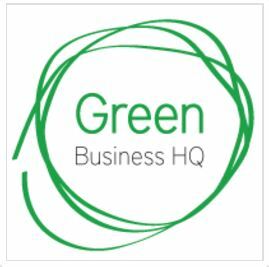 Green Business HQ offers bespoke sustainability strategies, action plans and environmental advice for businesses, industry sectors, schools and communities. Recycling systems, environmental product certification, environmental management systems, carbon footprints and sustainable product design. Green Business HQ can help make your business more sustainable, profitable and appealing to your customers. We also create customised sustainability professional development programmes and resources for businesses and organisations.